CottageBLOG: Welcome Our Newest DT Member to Our Team! Welcome! Looking forward to seeing your projects! Carol we are all super excited to have you aboard our team, and cant wait to see what you design using the Cottage Cutz die's. Hope you have a wonderful weekend hun! and Congratulations!!!! 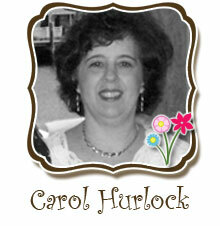 Welcome Carol to our CottageCutz design team. I am really excited to have you and I can't wait to see all of your beautiful creations. Welcome, Carol! Your creations are gorgeous, and a visit to your blog is a real treat! I'm really looking forward to working with you! So glad to have you join our team! I'm sure you are going to make amazing creations with the CottageCutz dies and I can't wait to see them!